The district magistrate of Imphal West issued an order prohibiting cable TV networks from broadcasting protest footage. Authorities in Manipur have imposed prohibitory orders in Imphal East and Imphal West until further orders in view of protests called in the state against the Citizenship (Amendment) Bill, reported ANI. 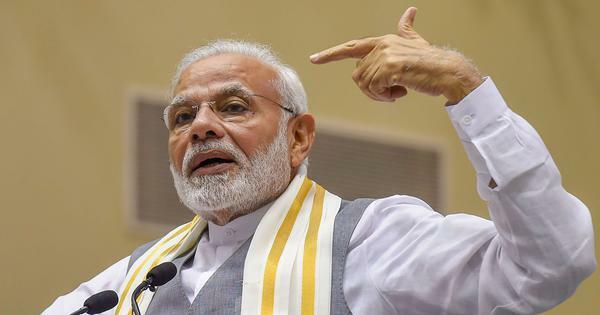 The controversial bill is likely to be tabled in the Rajya Sabha on Tuesday despite opposition from several political parties in the North East, including allies of the Bharatiya Janata Party. Authorities have shut down internet connectivity for five days across the state, an official in the Chief Minister’s Office told Scroll.in. “We will review the situation soon,” the official said. “It will all depend on the fate of the bill in the Rajya Sabha”. 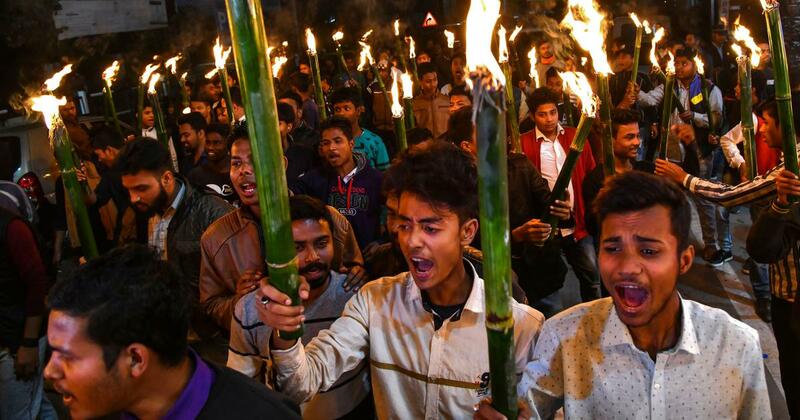 The Imphal West district magistrate issued an order prohibiting cable TV networks from broadcasting footage on the protests in the state, inflammatory speeches or any programme which may lead to breach of peace. The order will be in effect till further orders. On Sunday, at least six women were injured when police fired tear gas shells at a group of people who had gathered to protest against the bill in Imphal. Women vendors at Ima Keithel or Mother’s Market have announced a total shutdown of the market till Tuesday. Two students were injured at Khwairamband market when the police hurled smoke bombs to disperse demonstrators called a rally by six student organisations, The Telegraph reported. They were treated for minor injuries at the Regional Institute of Medical Sciences. The state Congress staged a sit-in in front of the party headquarters in Imphal in protest against the police action at Ima Keithel. “It is unfortunate that Chief Minister N Biren Singh speaks as if people are not aware about the bill,” The Telegraph quoted Congress leader Okram Joy as saying. “We feel the bill will either be passed in the Rajya Sabha or as an ordinance,” he said, adding that law-making has never become such a big issue in the country. Imphal East District Magistrate Chitra Devi imposed Section 144 of the Criminal Procedure Code late on Monday after receiving reports about possibly intense protests by Manipur People Against Citizenship Amendment Bill and People Alliance Manipur on Tuesday. Section 144 prohibits the assembly of four or more persons. Similar orders were issued in Imphal West. The bill seeks to amend a 1955 law to grant citizenship to persecuted Hindus, Buddhists, Sikhs, Jains, Parsis and Christians from the Muslim-majority nations of Bangladesh, Afghanistan and Pakistan if they have lived in India for six years. The administration has also suspended mobile internet in several parts of Manipur, The Northeast Today reported, citing unidentified officials. Such a ban is also being considered in Tripura, the daily said. The People’s Alliance Manipur had called a 36-hour strike in the state starting Monday, and a large number of security forces have been deployed to ensure law and order. Manipur People against Citizenship (Amendment) Bill Convenor Yumnamcha Dilip said the on-road agitations will continue indefinitely till the legislation is completely withdrawn. Dilip had asked the public to stop services, including commercial vehicle from plying, on Tuesday. On Monday, Assamese singer Bhupen Hazarika’s family refused to accept the Bharat Ratna, India’s highest civilian honour, in protest against the bill.